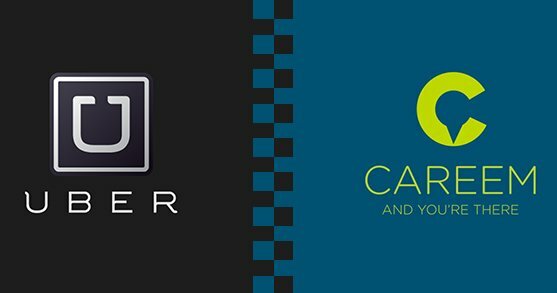 A day after the government of Punjab declared the services of mobile-application taxi service providers Uber, Careem and a-one as illegal, on Tuesday Sindh Government also sought legal action against these service provider companies. Now after Punjab Uber and Careem banned in Karachi, the Sindh government has announced the use of private cars as taxis without the mandatory legal permits as “illegal’ and Government has contacted PTA as they seeks to block Careem’s mobile app. Taha Farooqi the transport secretary said in a statement that he wrote five letters to the management of the Careem Company as a warning but he received no reply from Careem management. The provincial government also took action against Uber Company to bring the app within ‘official compliance’. Thus the taxi service provider these companies Uber and Careem banned in Karachi, firstly the step against them has taken by the Punjab Government, after Punjab this decision has taken in Karachi by the provincial government. According to the Transport Secretary, the private cars would no need to used in a commercial purpose, they are for the private use and no need to made it commercial in order to be used these cars as taxis. He further added that the owners of these private cars would be required to get fitness certificates for the cars. Before the cars can be used as taxis, they would needed route permits. Sindh Transport Minister Mr. Nasir Shah told a news channel that in Sindh, Uber and Careem had not been banned, they had only been sent notices to the company to comply with route permit and excise and taxation department challans. He said that, these challans to be paid along with certain requirements and they need to fulfill these requirements in order for private cars or vehicles to be used for providing service as a commercial transport services. When a question asked that why the government had suddenly took action against these two companies Uber and Careem, when the existing transport infrastructure in Sindh province and Karachi was in a dire state, Nasir shah acknowledge that they state of the existing transport in the Petropolis was not a well option compared to the provided options by the Uber and Careem. When the question asked by him whether the existing transport options had the certificate of fitness and compiled with the route regulations and legal requirements, Nasir Shah reiterated that he agreed that the existing transport infrastructure of the province was not a well option as compared to Uber and Careem. However, Shah stressed that unlike Punjab government, the services of Uber and Careem had not been banned they sent only compliance notice to these companies. The notification further showed that as security clearness of the drivers are also not attained from concerned authorities, orders have been given or issued for strict action against aforementioned companies.